In training you need be able to move freely and in comfort which you can do with these Essential 3 Stripe Training Shorts in Mystery Ink and White from adidas. These classic design shorts have been crafted in a clean style and will help the wearer move in between training and workouts. They come to us made with soft cotton and feature pockets on the front and back to keep all your valuables and essentials close by. 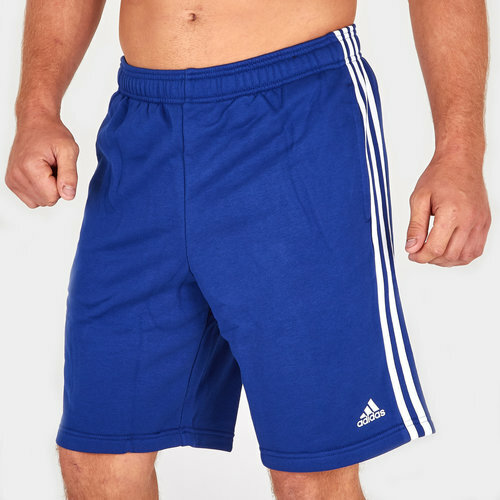 As is the norm with adidas their classic 3 stripe motif come down the sides of these shorts to create a sports-inspired look.